First of all, let me thank each and one of you for your kind wishes on my anniversary day ! I really had a nice first anniversary of marriage, perfect from morning to evening dinner, we're in a special luxury hotel on the Sorrento coast and tomorrow we'll be heading to another one nearest to Amalfi. I am havin fun and relaxing, something I really needed !. Of course, like most of bloggers, I have my Ipad and also mini laptop with me...so there's time for a small post, directly from the hotel ;-). Prima di tutto, vorrei ringraziare ognuno di voi per gli auguri che mi avete fatto per il giorno del mio anniversario di matrimonio ! Ho avuto davvero un bellissimo primo anniversario, dalla mattina fino alla cena della sera tutto è stato perfetto, siamo in un posto di lusso veramente stupendo sulla costa sorrentina e domani ce ne andremo in un altro più vicino ad Amalfi. Mi sto divertendo e rilassando, ne avevo proprio bisogno !. Ovviamente, come la maggior parte delle blogger, ho il mio Ipad con me e anche un mini laptop...per cui c'è anche il tempo per un piccolo post, direttamente dall'hotel ;-). In these pics I am wearing a frill sleeved coral red dress from Versace Jeans Couture and my fave Cesare Paciotti sandals from this season, they're so original ! I matched them with my beloved color block bag from Marc by Marc Jacobs. Sunnies are from Miu Miu and the smile comes directly from the beauty I am surrounded with...:-). In queste foto indosso un abito con le maniche arricciate color rosso corallo di Versace Jeans Couture e il mio paio preferito di sandali Cesare Paciotti per questa stagione, li trovo molto originali ! Li ho abbinati alla mia adorata borsa color block di Marc by Marc Jacobs. Gli occhiali da sole sono di Miu Miu e il sorriso proviene direttamente dalla bellezza che mi circonda in questo posto da sogno :-). A red dress for a red sunset ! u look great in that dress! I love the dress! Is perfect! ..mi piace troppo questo abitino rouge! Ma sei splendida e la cornice che ti circonda è da sogno!!!! Goditela!!! Great look! Love the dress and sandals! vale, my fave line is: "the smile comes directly from the beauty I am surrounded with...:-)." you, your dress, & the scenery look effervescent! che bella vacanzina!il vestito è troppo bello! Love your dress <3 You look gorgeous in red! Hello Vale, that´s what I call a perfect anniversary celebration :) You look really happy and I´m happy for you. Enjoy the rest of your stay, I´m sure it´ll be wonderful. I just love ur sandals ! U are dressed just perfectly from head to toe! Gorgeous outfit!Love the dress, the bag is amazing, love the color blocking!You look stunnig dear. So glad you had a good anniversary! You look beautiful! Love your bag and shoes, they are gorgeous! I love your dress, you look lovely! Huuunf shame on me!! No ho stato ma nello suo blog. Mi manchi di te Fashion Friend!! Questo vestido é belissimo anche il borso!! red dress is very femina, very sexi! wow stai benissimo!!! la borsa è stupenda! wow che meraviglia, sei tutta uno splendore! Abito, borsa, capelli! Perfetta! Very beautiful dress... you look perfect...! Raggiante in un abito rosso ! I am totally in love with that bag of yours! The color is so delish! Sorento is a very beautiful place.. have fun! What a lovely red dress dear. Love the lenght, color and the design. Cute!! 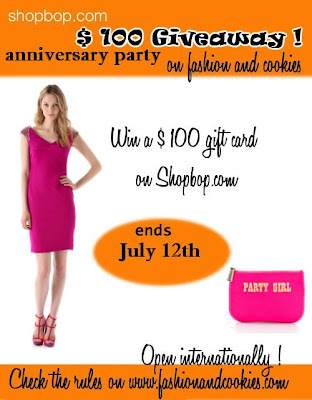 PS: check out my GIVEAWAY on my blog. You look amazing from outfit to another ! What's your secret ? I saw this bag before, and I felt in love in this colours :) Great hot look! Beautiful dress and gorgeous bag!! that bag is absolutely fabulous! perfect match with the dress. totally stunning in red!! love the colorblock handbag paired with it!! and the heels are fab! Auguriiiiiiii !! Non lo sapeva cara ;) aspeto che tutto perfetto. Cosa ti poso dire... smartissima comme sempre. Bella borsa anche ! Very cute outfit! And I love the heels! Love the dress:) very nice look! Mi sono completamente innamorata delle tue scarpe!! 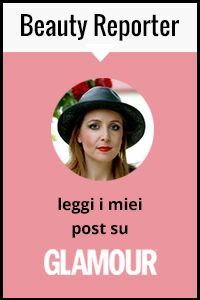 Compimenti per il blog! e complimenti per l'eleganza!